Renata Marcinkowska was born in Poland where she was the number one ranked junior player in the country. She represented Poland in numerous World and European Championships. Renata played on the WTA Tour for 8 years, was ranked top 115 in the world in singles and top 75 in doubles and played in all the Grand Slams. She won the World Championship 35 year-old doubles twice. She has traveled the world, playing in Germany, Turkey, Australia, New Zealand, Russia, Czech Republic, Switzerland, Austria, South Africa, Spain, Mexico, France and England. She has lived in South Carolina since 1988 and became a naturalized US citizen in 1991. She currently resides in Myrtle Beach, SC. Renata graduated from Oklahoma State University with a B.S. in Psychology, where she played collegiate tennis and was an All-American athlete, as well as a Big 8 Conference singles and doubles champion. 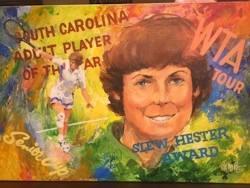 Renata was the 2002 South Carolina Adult Player of the Year. In 2003 and 2004 she was ranked number one in the world in the 35 year-old division. Renata was the 2002 and 2003 winner of the USTA National Clay courts, and the 2004 winner of National Clay courts in 35’s singles and doubles. Marcinkowska was the 2004 #1 ranked player in the US in 35’s Singles and Doubles, the 2005 #1 ranked player in the world for 35’s singles, and the 2006 USTA Southern Slew Hester Female Player of the Year. She was named the 2009 SC Female Player of the Year, and has won the SC State Championships in seniors several times. 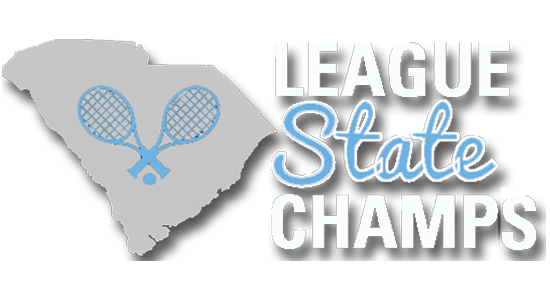 After playing for South Carolina at the Southern Senior Cup, Marcinkowska qualified to represent the Southern Section on Intersectional teams, which led to her being chosen to play abroad on several USTA Cup Teams. She captained the 2008 US Young Cup Team for players in their 40’s and played on the 2010 world championship team.